Skin rashes are a symptom of many disorders that cause inflammation of the skin, the body’s largest organ. At Dermatology Consultants of Gloucester in Gloucester, Virginia, Dr. Timothy Gardner has the expertise to identify your rash and diagnose the corresponding cause to give you much-needed relief. Call the office today or use the convenient online scheduling tool to make your appointment. Experienced dermatologists like Dr. Gardner can typically determine the source of your rash in the office, simply by assessing the rash, considering your medical history, and factoring in any medications you may be taking. In some cases, however, a biopsy may be necessary for chemical analysis to make a diagnosis. How are rashes treated with medication? Treatment depends on the specific cause of the rash. For example, many eczema cases respond to over-the-counter medications containing hydrocortisone. The cream may help reduce swelling and redness, along with its accompanying itchiness. In more advanced cases, prescription strength cortisone creams, pills, or injections may be used. Eczema is a skin condition with no cure, so control of symptoms is the only option. Other conditions, such as pityriasis rosea, may pass with time and not require treatment, though oral antihistamines may reduce itching. Most types of contact dermatitis aren’t treated with medication, but by removing exposure to the irritant and treating the affected areas with moist compresses, gentle cleansing, and careful drying. Can rashes be treated at home? Choosing hypoallergenic soaps, lotions, and cleansers may help prevent contact dermatitis, which may sometimes start with prolonged exposure to some substances. 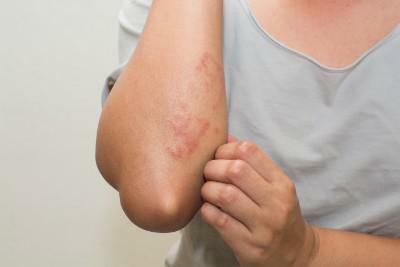 Some rashes benefit from home care, and taking steps to control the itching is often the most important consideration, since scratching may cause certain rashes to spread, or may result in damage to the skin, inviting infection and further complications. To prevent using the wrong home treatment on a rash, it’s best to allow Dr. Gardner to diagnose your rash, then follow his treatment recommendations. To find out what’s causing your rash and get professional, effective treatment, visit Dermatology Consultants of Gloucester. Call to book your appointment or use the online scheduling tool.